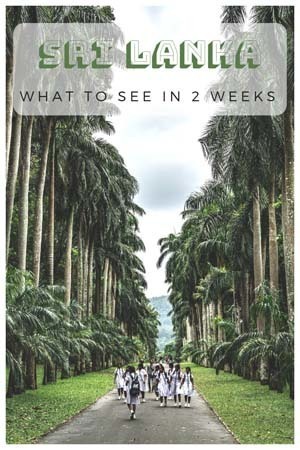 Are you looking for the perfect two week Sri Lanka itinerary? 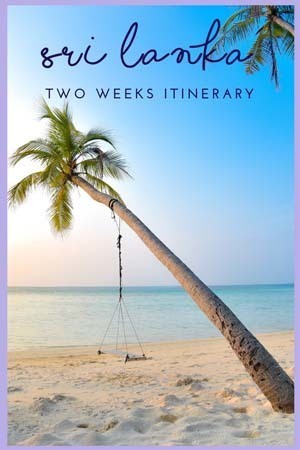 There you are, all you need to know to plan your two week Sri Lanka holiday, including where to go, where to stay and how to get around! I’ve been dreaming of a trip to Sri Lanka for about 10 years, ever since I worked as a behavioural therapist in London for a Sri Lankan family. Their home in Wembley was a whirlwind of colours, scents and sounds – there were spices roasting on the stove and Bollywood dance scenes on TV, coconut milk curries mingling with the fragrant aroma of freshly-cooked rice and jasmine garlands, brightly coloured masks on the walls, Buddha and Hindu statuettes in a small altar full of flowers. The walls of the room where I worked were decorated with posters of Sri Lanka’s main sights. During those cold, endless London days, I longed to climb the rock temple of Sigiriya, spot elephants in Yala, roam around the fort city of Galle. 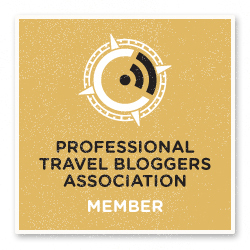 In October 2018 we finally got the chance to visit Sri Lanka, in occasion of the TBC Asia conference sponsored by wonderful Cinnamon Hotels, where we won an award for Best Responsible Tourism blog. Sadly, we didn’t have long to spend in the country, and so we started planning a two-week Sri Lanka itinerary that would allow us to see as much as possible. First of all, don’t be fooled by Sri Lanka’s diminutive size. The country has been nicknamed ‘miniature Asia’ as it offers many typically Asian experiences without having to travel too far – there are archaeological sites, palm-fringed golden beaches, Buddhist and Hindu temples, mountains, rainforests, and lots of Sri Lankan wildlife. Two weeks are not enough to cover the whole of the country. Our Sri Lanka itinerary focuses on the southern and central part of the country, with arrival and departure in Colombo, the former capital and largest city. We travelled with a private driver, wanting to make the most of our time in Sri Lanka, but it’s also possible to travel by public transport. 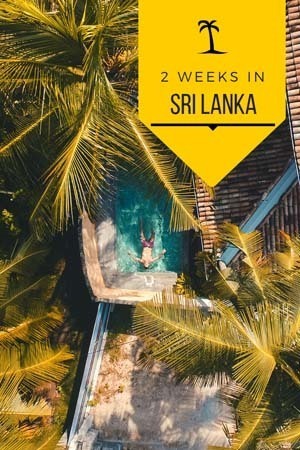 Here is our Sri Lanka itinerary for two weeks – knowing that we’ll be back very soon to experience all the sights we missed! Sri Lanka’s largest international airport is actually located in Negombo, a coastal town with a nice beach and fish market that many travellers choose as a first stop on their Sri Lanka itinerary, to get a ‘mellow’ introduction to the country. Colombo is definitely more hectic and traffic in and out of town can be fierce, but it’s still worth checking out for a day or two. The harbour area is currently being developed, and within the next few years it will probably look like Singapore’s Marina Bay. To while away your time in Colombo, you may choose to relax with a spa treatment – SPA Ceylon is located in the city centre and offers a selection of full body treatments with scented creams and lotions for sale at very good prices. 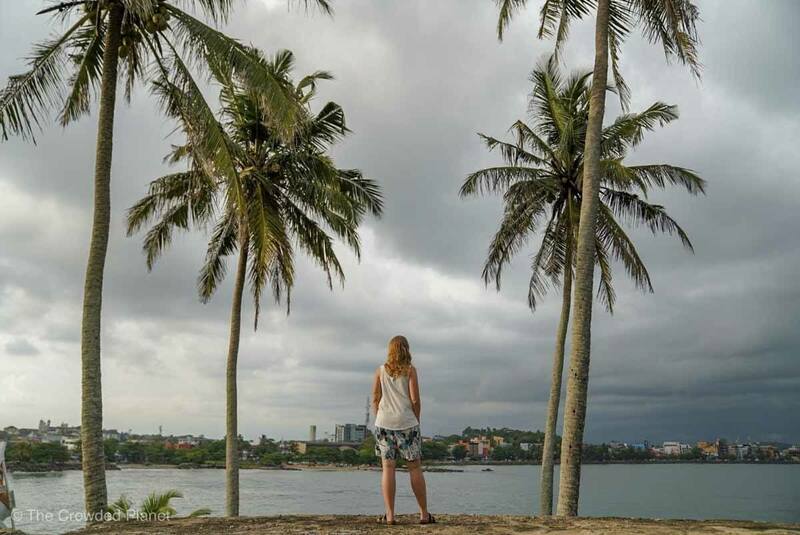 Other things to do in Colombo include visiting Beira Lake and the Galle Face Green area, which is very lively at night with street food carts and families enjoying picnics on the grass. I think one or two days in Colombo will be a perfect way to start your Sri Lanka itinerary, before moving on to the southern coast of the island. Where to Stay in Colombo – Cinnamon Grand Colombo, a luxury 5 star hotel with comfortable rooms in the city centre and plenty of dining options. Galle was by far our favourite place in Sri Lanka. Most Sri Lankan towns we’ve seen are crowded and busy – by contrast, Galle felt relaxed and charming, and it’s an absolute must in any history lover’s Sri Lanka itinerary. 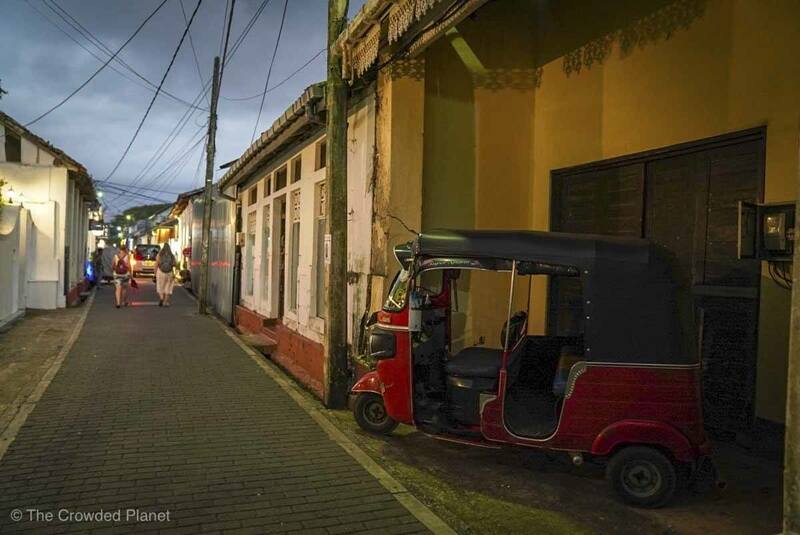 Walking around Galle is a bit like taking a journey through the history of Sri Lanka, from Dutch colonial times to the present day. The historic centre of town is located within the walls of a fort first built by the Portuguese, then extended by the Dutch in the 17th century. Galle is the kind of place that is fun to just wander around, walking around the fort walls from the iconic clock tower to the lighthouse on the opposite side, overlooking the ocean. Within the walls you’ll find a tangle of narrow streets opening up onto beautiful British colonial buildings, like the Galle Fort Hotel. Besides the fort, some of the sights worth checking out in Galle include the Dutch Hospital, the Anglican Church, and the Old Gate near the old Galle port with a Dutch emblem on one side and the British emblem on the other. Also, don’t miss the Black Fort, the oldest part of Galle Fort. Getting to it is a bit tricky and it involves walking across the police station and than down a narrow passageway. Police officers are usually happy to point out the way, and there are also signs telling you where to go. 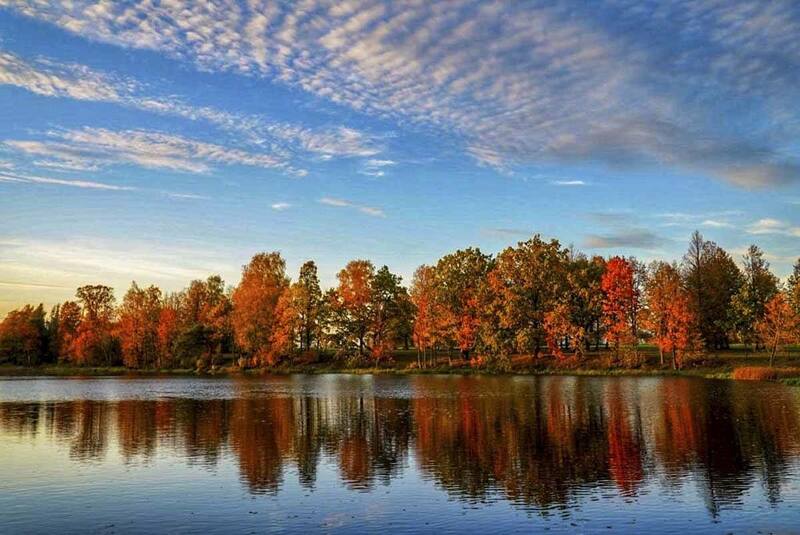 You’ll be rewarded with some great photo opportunities! 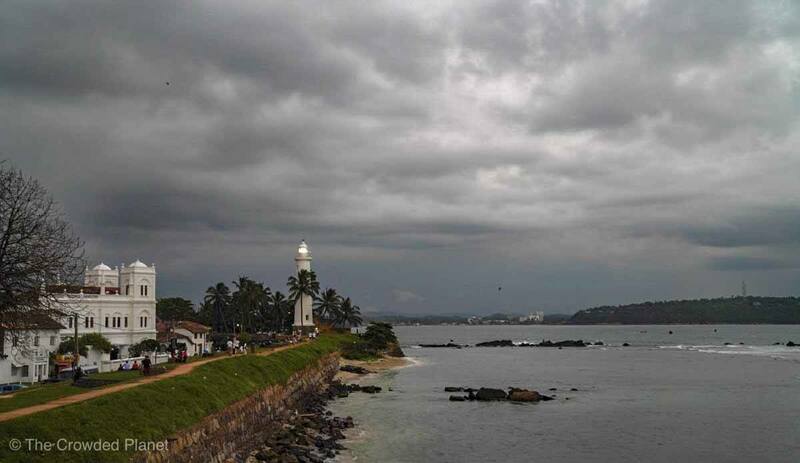 We recommend spending at least two full days in Galle, to enjoy its vibe and explore its shops and restaurants. Where to Stay in Galle – The Galle Fort Hotel, a boutique hotel located within the fort, with a great street side verandah offering plenty of charm and great value. Otherwise, if your budget stretches far enough, try Amangalla, the best hotel in town in a 17th century Dutch building. 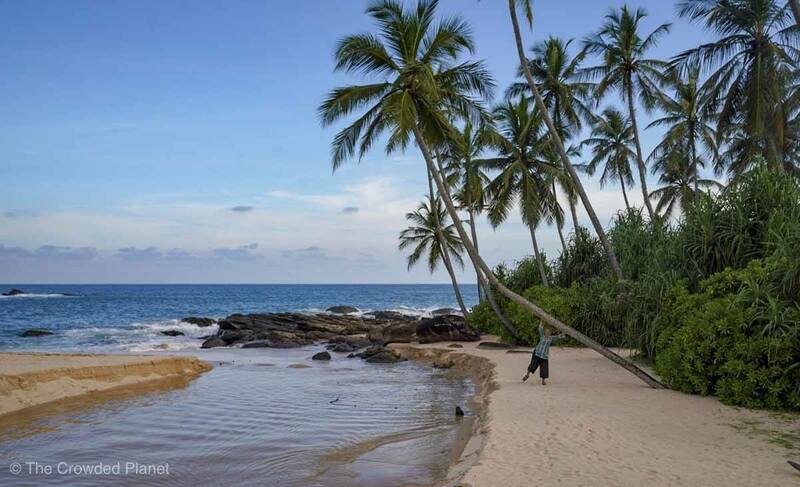 The southern coast of Sri Lanka is full of wonderful beaches, some of which are perfect to relax with a bright orange king coconut in hand, while others are ideal to go surfing or enjoy water sports. You could easily spend weeks beach hopping along the southern Sri Lankan Coast, choosing where to stop depending on your interests. 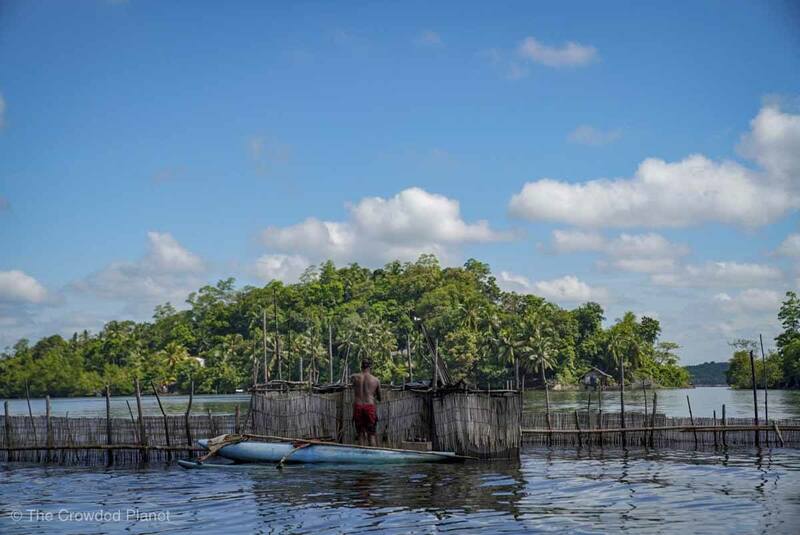 We spent a night in Beruwala, where we enjoyed a visit to the local fish market followed by a dinner or freshly-caught seafood – sadly, we couldn’t swim because it rained all afternoon. Another night was spent in Hikkaduwa not far from Galle, in a beach resort with a lagoon perfect for swimming and a wilder stretch with waves and turtles often visiting. Other recommended places along the south coast are Weligama, a backpacker surfing paradise, Unawatuna, famous for being one of the best beaches in Sri Lanka, and Tangalle, not far from the stunning Blue Beach and the famous blowhole. Where to Stay along the Southern Coast of Sri Lanka – Cinnamon Bey Beruwala, a resort with a sprawling swimming pool and great seafood restautants. Anantara Peace Haven Tangalle, a luxury resort on a paradise beach with excellent dining, private villas and award-winning architecture. 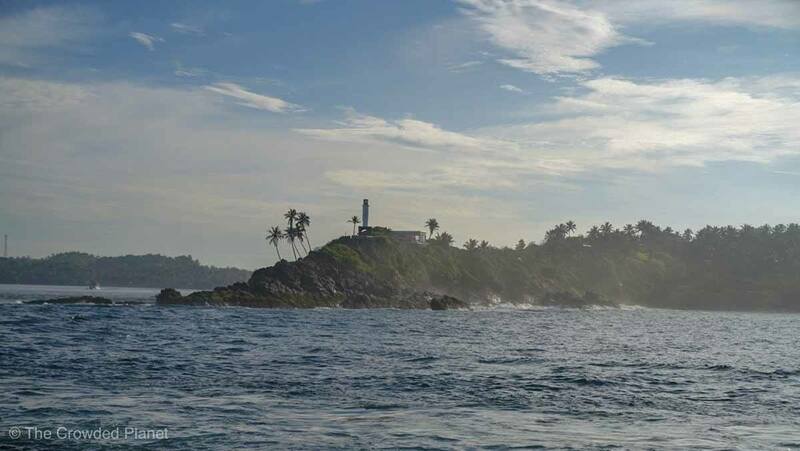 Mirissa is also located on the southern coast but it’s worth a mention of its own, since it’s one of the best places in the world to see blue whales. 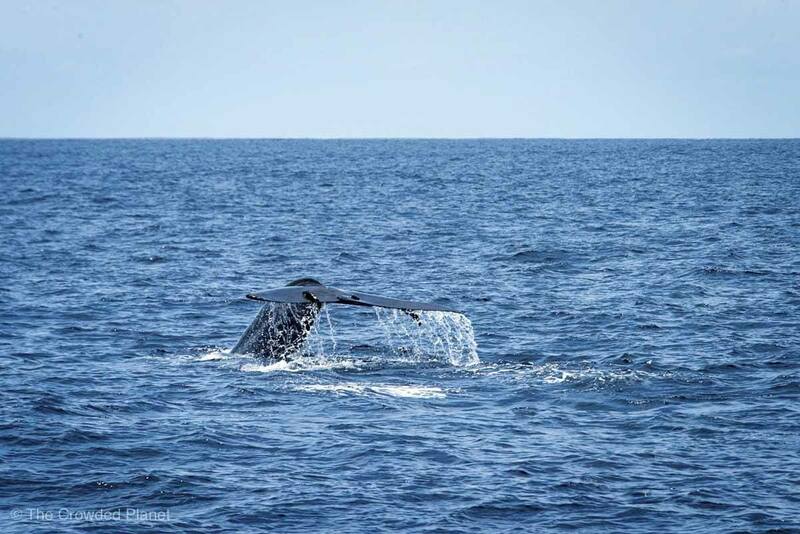 The best months for whale watching in Mirissa are November to April/May. Cruises sometimes also depart outside of these months, but the sea can be rough and whales hard to spot. Yes! We did spot a whale! It pays off to choose a responsible operator when whale watching in Mirissa – we went with Cinnamon Nature Trails and our boat wasn’t crowded, and never got too close to the whales. Sadly we cannot say the same thing of other boats we saw out in the ocean, some of which were packed to the gills and were swaying dangerously as people moved from one side to the other. Also, don’t forget that sightings are not guaranteed, and you may have to travel long distances before spotting a whale. Our entire whale watching cruise took 7 hours, and we had to travel three hours each way. An alternative to whale watching in Mirissa is Trincomalee on the eastern coast – however, it may be hard to fit that in a two week Sri Lanka itinerary, since it’s a fair distance from all the other locations listed in this article. Where to Stay in Mirissa – Imagine Villa Hotel, a boutique hotel with a large beach, swimming pool and a charming owner. 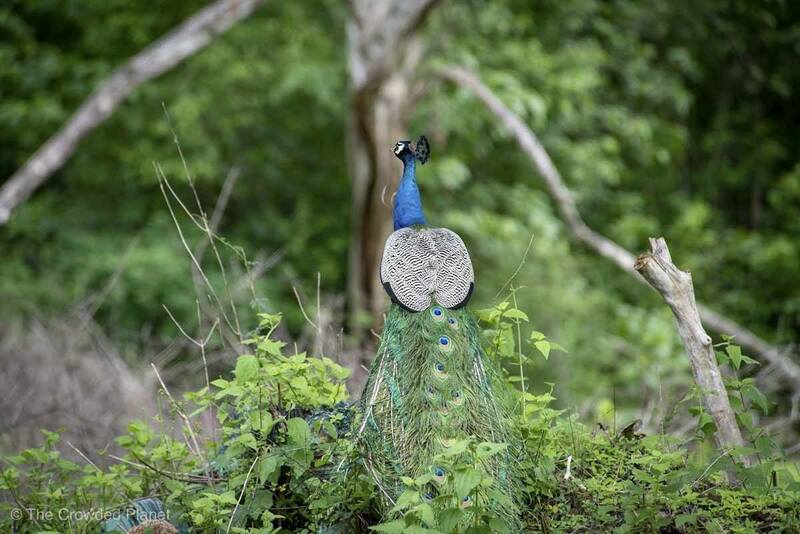 Yala National Park is probably Sri Lanka’s prime wildlife destination, thanks to the high likelihood of spotting iconic species like elephants, peacocks, spotted deer and especially leopards, with a 50% chance of spotting them during safaris. This is a really great place to see animals in Sri Lanka! As a wildlife lover, you can’t miss visiting Yala – however, please note that the park is closed to the public in September and October for maintenance, and to give animals a break. 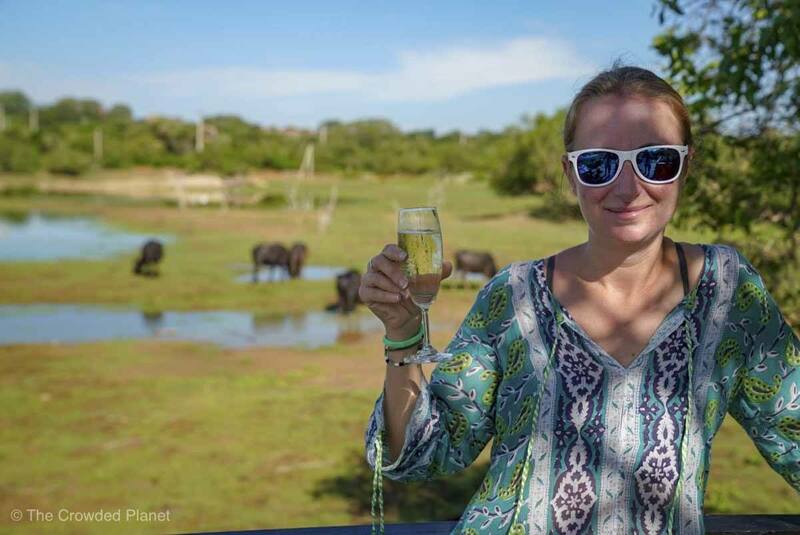 Overcrowding is also a concern at Yala – check out Jing’s guest post titled ‘what went wrong in our Yala National Park Safari’ to know more! During these months, you could visit the lesser-known Lunugamvehera National Park, located about an hour away, and with far fewer tourists compared to Yala. 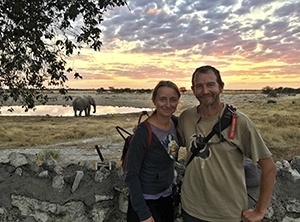 We spent an entire afternoon on a safari around Lunugamvehera and we were lucky to spot deer, elephants and many colourful bird species – but sadly, no leopards. We’ll have to go back! Where to Stay in Yala – Cinnamon Wild Yala, a safari lodge with individual bungalows and sprawling grounds including a lake, offering great wildlife-watching opportunities. Book a private breakfast by the lake to start the day surrounded by animals! After Yala, it’s time to leave the coast behind and head for the Hill Country in the interior of Sri Lanka, a green and lush place with lots of tea plantations, perfect for both hikers and photography lovers. Ella is a wonderful place to stay in the Sri Lanka Hill Country. Hiking lovers will enjoy climbing to the top of Little Adam’s Peak, walk all the way to the famous Nine Arch Bridge and learn about tea at Lipton’s Seat, where Mr.Lipton planted the first of his legendary tea in 1890. From Ella, you can then hop on a train to Kandy, the next destination – the train ride between Ella and Kandy has often been described as one of the best in the world, and can’t be missing from your Sri Lanka itinerary. 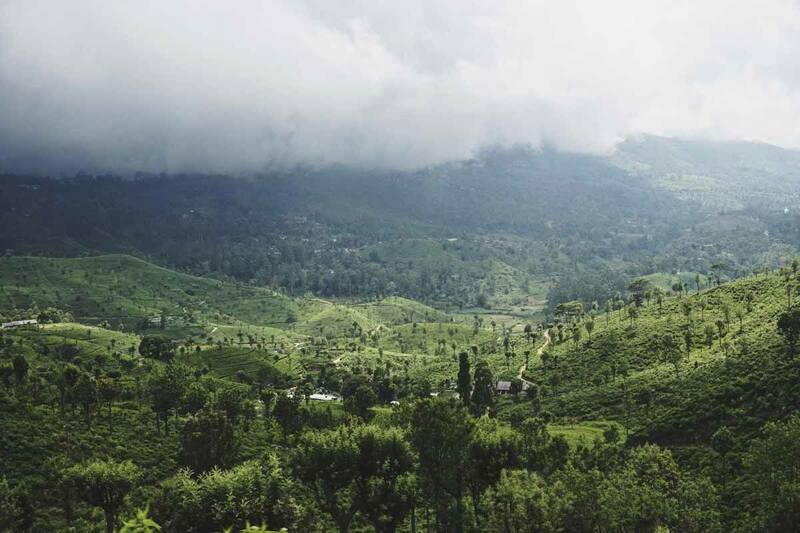 An alternative to Ella could be Nuwara Eliya, also offering the perfect mix of hiking and tea plantation that makes the Hill Country of Sri Lanka so special! Where to Stay in Ella – 98 Acres, a luxurious eco-friendly hotel overlooking Little Adam’s Peak, located close to the start of the Little Adam’s Peak hike. If you can, book a bungalow with private swimming pool! At first glance, Kandy doesn’t look like much – it’s a bustling city with heavy traffic. Yet, it’s worth including in your itinerary for two reasons. First of all, because the stunning Ella-Kandy train terminates there, making it a convenient addition to your Sri Lanka itinerary. The second reason is that Kandy is home to the Temple of the Tooth, one of the most sacred Buddhist temples in the world, housing a relic that is believed to be a tooth of Lord Buddha himself. It takes about two hours to visit the sprawling grounds of the temple – if you can, time your visit to coincide with one of the three-daily pooja, when a gilded box containing the tooth is displayed to tourists. Other things to see in Kandy are the man-made lake located just opposite the Temple of the Tooth, a pleasant place to walk around, and the Botanical Gardens about 5 km outside of town. Where to Stay in Kandy – Cinnamon Citadel Kandy, a luxury hotel with swimming pool and views over the Mahaveli River. Book a river tour with Cinnamon Trails if you have time! 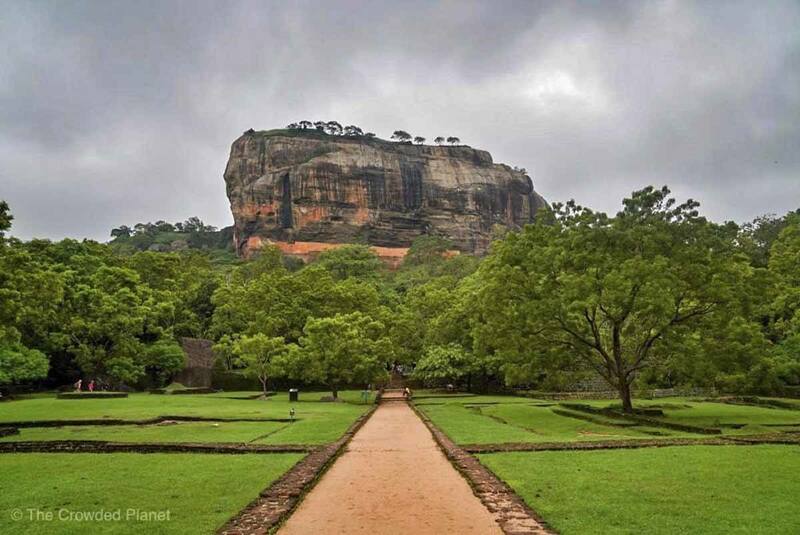 Finally, you can’t leave Sri Lanka without visiting Sigiriya, the iconic fortress built in the 5th century AD, perched on a rock almost 200 meters high. 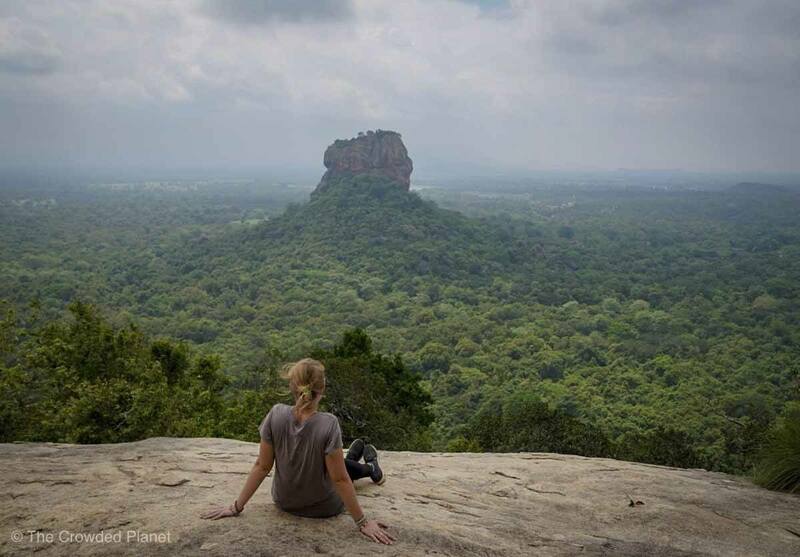 Sigiriya is as beautiful as it is well-known, and it’s literally overrun with tour groups. If you think you’ll beat the crowds by arriving early, think again – thousands other people will have had exactly the same idea! It wasn’t easy to get tis picture! In any case, Sigiriya is definitely worth visiting. Don’t just follow the crowds up the rock – also take time to tour the water and rock gardens at its base, admire the huge lion paws surrounding the entrance to the rock fortress, and walk around the palace on top looking at the view from all possible angles. For an incredible view over Sigiriya itself, head to nearby Pidurangala, a rock temple located only a couple of kilometers away. The climb up Pidurangala is more challenging and even requires a little scrambling over boulders – but when you’ll get to the top, it will all be worth it. Nearby you can also visit Kaudulla National Park, home to the famous Elephant Gathering – a time in the year when hundreds of elephants gather near water sources, a spectacle unlike any others in Asia. To read more about the elephant gathering, check our Kaudulla National Park post! Where to Stay in Sigiriya – Cinnamon Lodge Habarana, my favourite hotel in the whole of Sri Lanka! Accommodation in this luxury hotel is in private cottages, and there’s also a wonderful spa and private dining options, including lunch overlooking a nearby lake. If you’ve seen pictures of Sri Lanka, I’m sure you’ll have noticed how green it is. That is because the country has not one, but two monsoon seasons – the south-western monsoon between May and September, and the north-eastern monsoon, which brings wind and rain between October and January. September and October are the rainiest months, but also the cheapest. We visited in late October and it did rain a lot, but rain was usually concentrated in short bursts and morning were usually sunny and clear. If you want to avoid the rain, the best time will probably be December/March. This is a busy time to visit Sri Lanka, and prices are at their highest. 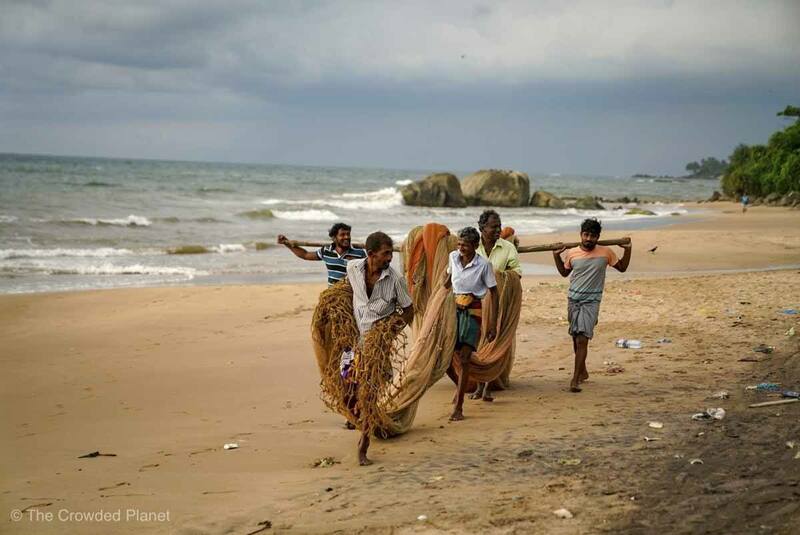 The only possible way to reach Sri Lanka is flying, as there are no ferry connections to India or other nearby countries. We flew from London with Sri Lankan airlines, the flagship carrier, offering direct daily flights to Colombo. Flight time is about 10 hours each way, and our experience flying economy class was good – service was courteous, food was good (a great intro to Sri Lankan flavours!) and the entertainment system was excellent. Sri Lankan Airlines flights from London are often busy, and we both ended up in middle seats, which made the whole experience a bit uncomfortable. We recommend choosing your seat ahead of time, or maybe try bidding for business class. 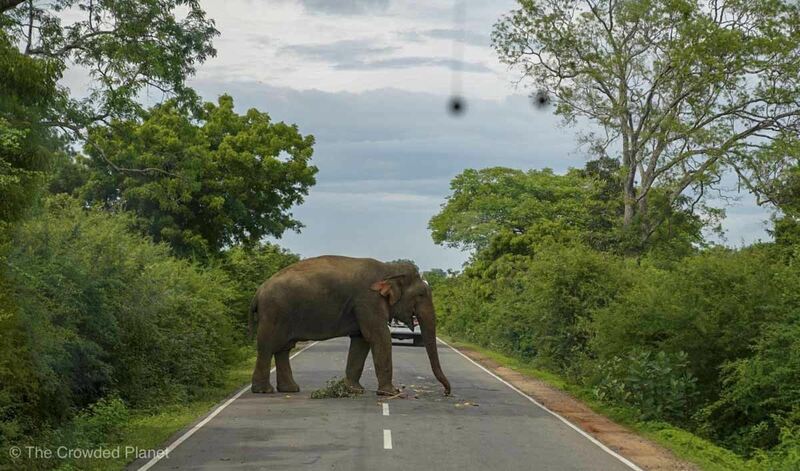 You may have unexpected encounters on the road in Sri Lanka! Sri Lanka is small enough to travel overland, but if you want to extend this two-week Sri Lanka itinerary and head to places like Trincomalee on the east coast, you may want to consider flying. Cinnamon Air offers flights to a range of destinations on small 8 seater airplanes, an opportunity to enjoy a scenic flight while making your way to the next destination. Buses are the best way to travel around Sri Lanka if you’re on a strict budget. They ply every stretch of road in the country and they’re very easy to notice thanks to their bright colours. They are all identified by a number and also bear the name of the destinations they cover in English as well as Sinhala. You just need to find the bus you need, hop on and pay your fare to the assistant driver. Can it possibly get any easier? 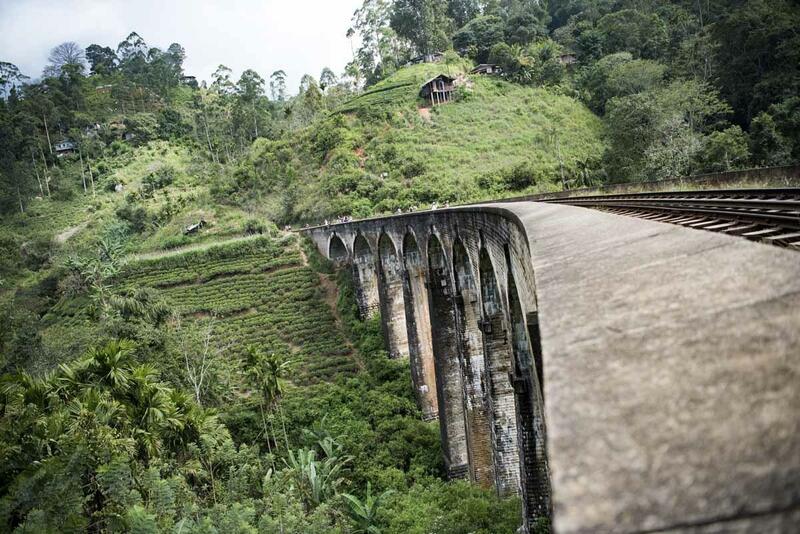 I’ve already mentioned that trains are a great way to travel around Sri Lanka, especially on scenic routes like Colombo-Kandy, Kandy-Ella and Ella-Nuwara Eliya. Trains are also a budget-friendly way to travel around Sri Lanka, especially if you get second or third class tickets. The downside? Trains are slow, don’t travel along the length of the southern coast beyond Matara and tickets can be a hassle to get. However, make sure you take at least one train ride in the Hill Country! If you only have two weeks in Sri Lanka, your best bet will probably be hiring a private driver. This is quite affordable, with prices ranging around $500/750 USD for two weeks, depending on how extensively you need to travel around the island. 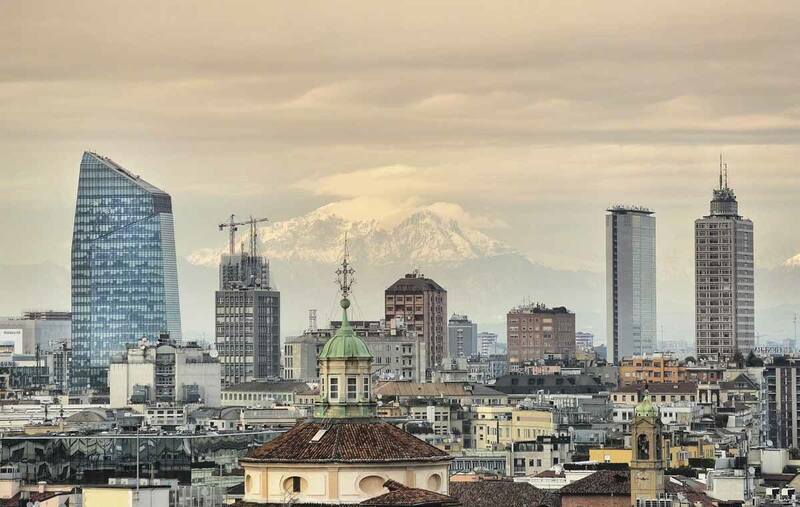 You can try your luck and hire a private driver directly at the airport, but it can be risky – it is better to contact a reputable local operator like Walkers Tours. Upscale hotels will have drivers quarters, otherwise they will sleep in the car, but you will be expected to pay for their meals if you dine together. Don’t forget to tip them if you’re happy with their service! Our trip to Sri Lanka was sponsored by Cinnamon Hotels and Sri Lankan Airlines as part of TBC Asia 2018. Thanks for the great adventure!